such as a pocket or glove. 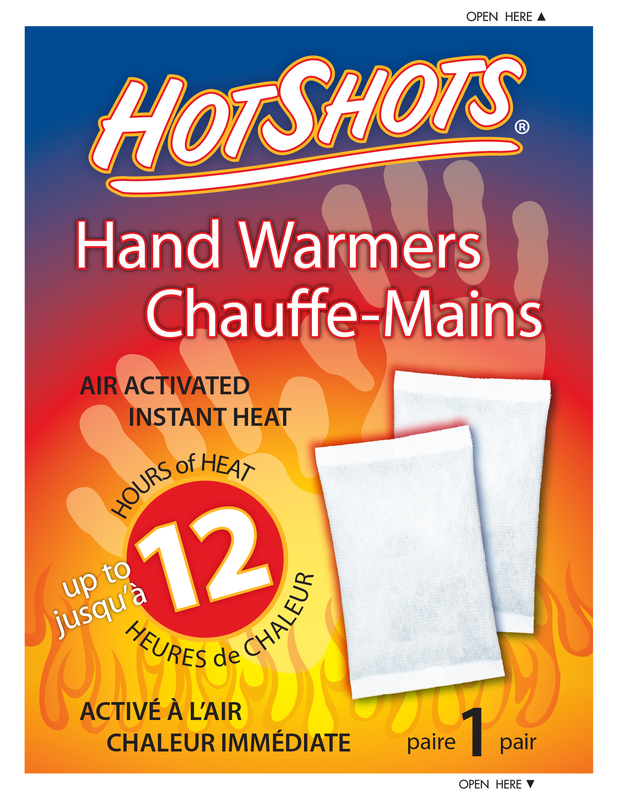 • HotShots Hand Warmers are a safe, odorless, clean & dry non-toxic heat source. 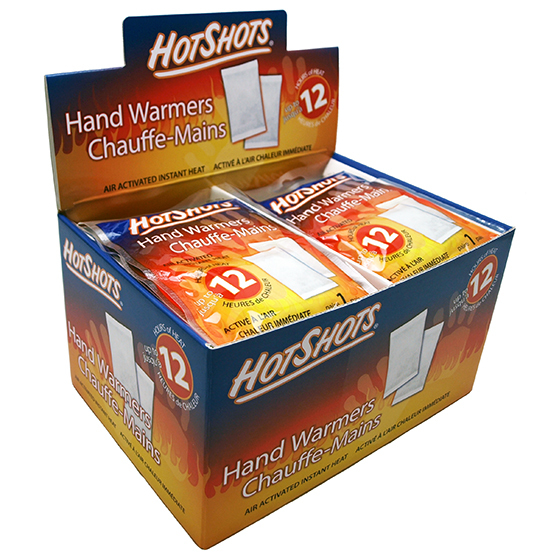 • One pair of HotShots Hand Warmers in each package. • Perfect for cold weather activities!